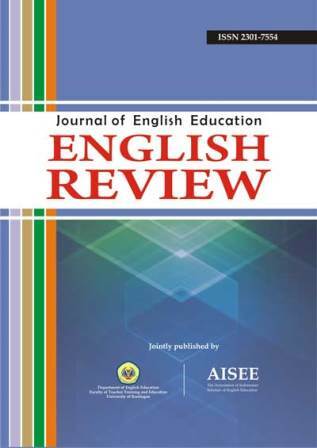 ENGLISH REVIEW: Journal of English Education (p-ISSN 2301-7554, e-ISSN 2541-3643) is a peer-reviewed journal published in Indonesia by the Department of English Education, Faculty of Teacher Training and Education, the University of Kuningan (PBI FKIP UNIKU) in collaboration with the Association of Indonesian Scholars of English Education (AISEE). This journal is published twice a year: June and December. Since July 9th, 2018, English Review: Journal of English Education (ERJEE) is officially accredited by The Ministry of Research, Technology and Higher Education, Republic of Indonesia (Kemenristekdikti RI) with SINTA 2.